Most experts would agree that the arrival of the Mazda 6 back in 2003 marked the revival of Mazda as a company. The sporty personality of the first-generation 6 was a precursor to Mazda’s Zoom-Zoom image and philosophy. The second-generation Mazda 6 took steps towards improving comfort and road behavior, but some would say it lacked the sportiness of the first model. The new Mazda 6 however, has rekindled the original spirit of the first generation while still being a comfortable vehicle that is a pleasure to drive over extended periods of time. In other words, the new 6 is the best of both worlds. 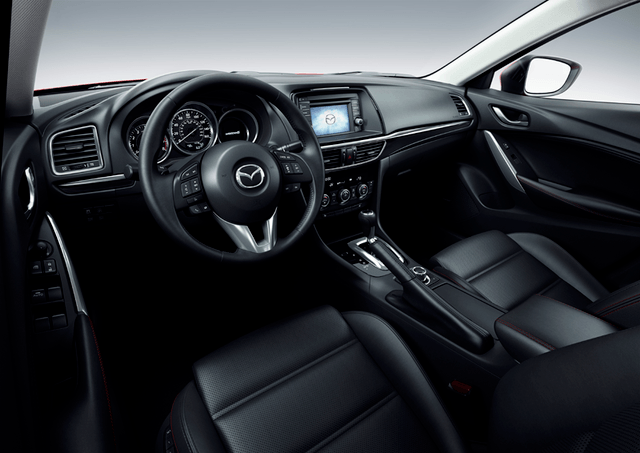 The Mazda 6’s interior is a sober blend of modern design, quality materials, and excellent workmanship. The dashboard and center console are reminiscent of the Mazda CX-5 and the user-friendly layout of the various controls make it easy to simply hop in and go. The new 2014 Mazda 6 is more spacious in every aspect than the model it replaces, with generous rear legroom and a backseat that is wide enough to accommodate 3 adults comfortably. 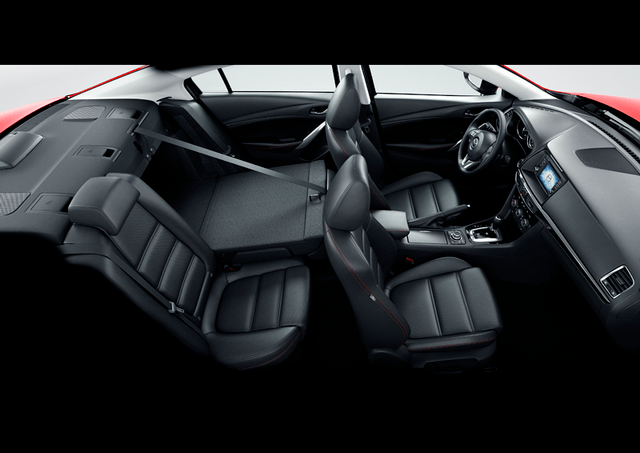 Upfront, the seats are firm yet very supportive and provide ample side cushioning for spirited driving. Even after a few hundred kilometers, there is no discomfort regardless of where you are sitting inside the new Mazda 6. The rear trunk is also quite spacious with 419 liters of cargo area. The base GX model, starting at 24 495$, gets Bluetooth connectivity, push-button start, steering wheel-mounted audio controls, heated seats, and a 5.3 inch touchscreen display. The GS model adds 6-way power driver’s seat, dual-zone electronic climate controls, rear-seat heater ducts, keyless entry, and blind-spot monitoring, among other features. The top-of-the-line GT model, starting at 32 195$, gets a moonroof, navigation system, 8-way power driver’s seat and 4-way power front passenger seat, leather-trimmed seats, and bi-xenon headlights. 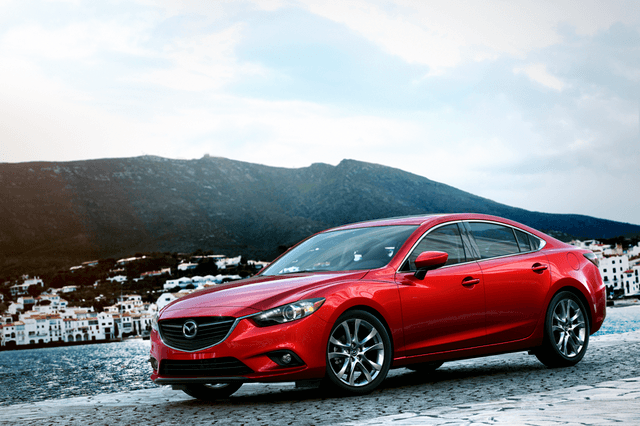 The 2014 Mazda 6 GT is also equipped with exclusive 19 inch wheels that give the new midsize sedan one of the fiercest looks within its segment. With its Kodo-inspired exterior design featuring sweeping curves, sharp headlights and a short trunk, the new 6 is a rare head-turner in a usually bland segment. The new Mazda 6 is powered by a single engine, a 2.5 liter 4 cylinder SKYACTIV powerplant that delivers 184 horsepower and 185 pound-feet of torque. The striking advantage of using an engine equipped with SKYACTIV technology is noticeable both when accelerating and when calculating fuel economy. SKYACTIV is a blend of various improvements designed to make the engine more efficient, reduce power loss because of friction, and lower overall vehicle weight. A SKYACTIV engine has an astoundingly high compression ratio of 13:1, which provides among other benefits reduced fuel consumption and improved overall performance. The new 2014 Mazda 6 has a fuel economy rating of 7.6 liters per 100 kilometers in the city and 5.1 liters per 100 kilometers on the highway with the available 6-speed automatic transmission. The new 6’s automatic has been designed to provide the advantages of both a CVT and dual-clutch transmission in order to reach the perfect combination of sportiness and fuel-efficiency. A 6-speed manual transmission is available as standard equipment. 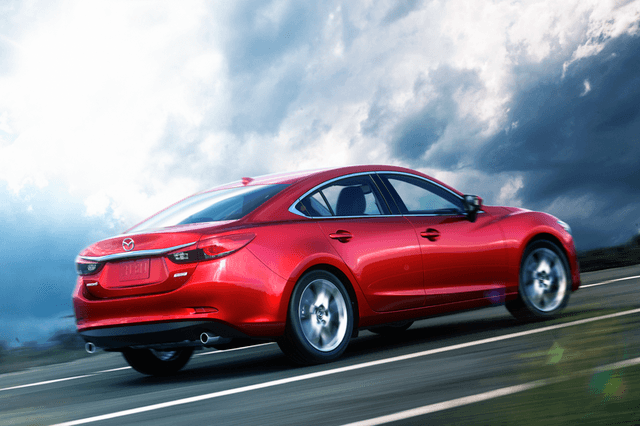 All and all, the new 2014 Mazda 6 offers improved power and acceleration with dramatically improved fuel-efficiency. The dynamics of the new 6 are so sound that Mazda did not see the need to add an optional V6 to the product mix, and most buyers shouldn’t either. However, we expect to see a brand new diesel engine with SKYACTIV technology join the lineup at some point in 2013. 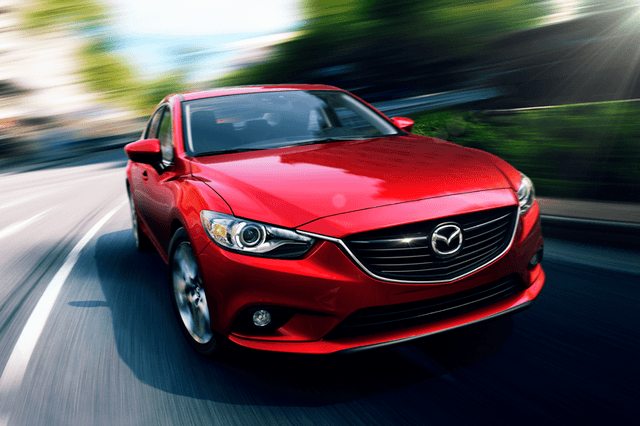 Contact us today to learn more about the brand new 2014 Mazda 6 or book a test drive online right now!